Fukubukuro lucky mystery bags are popular in Japan. The bags are packed with random items and sold for a substantial discount! Blippo Surprise Kawaii Sticker Bag is packed with a random assortment of cute stickers! 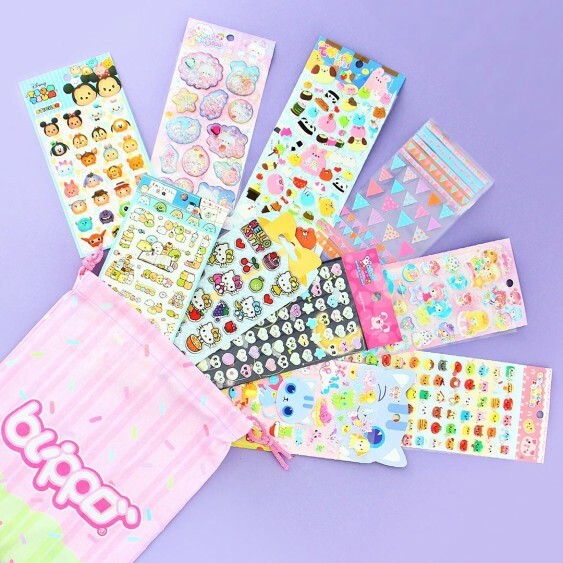 Each bag includes a mix of at least 10 stickers chosen randomly from our kawaii warehouse. The retail value of the included products is approximately 20 USD! The bag is also a perfect gift for anyone who loves mystery surprises! I have received ten sticker sheets, which after some maths calculations, turns out to be a little bit more expensive than for the price you are paying; so in that sense you get your money's worth back. 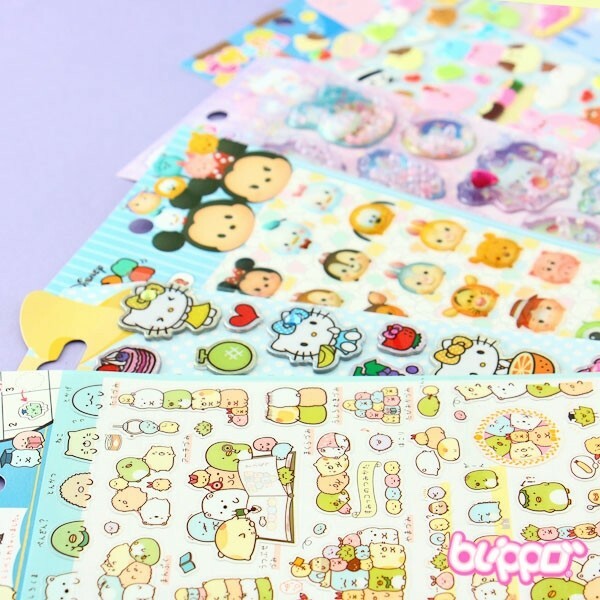 Personally, I think the range of stickers was alright however I was hoping for one sticker sheet with a more recognizable character eg tsum tsums or Jinbesan. There was also one sticker sheet in particular that had a little bit of a defect with the way it was displayed/assembled but be reminded that these sticker sheets aren't worth a fortune so that obviously can happen. I would have liked it better if there were more flat stickers as I am not the biggest fan of puffy ones however, that's just a matter of personal taste. It wasn't all that "dissapointing" though: I did pay for shipping because I wanted to make sure it would arrive a little faster and arrive at all since packages get lost often and it came much faster than expected. I waited around a week or two? And I also liked that they included the name of the person packing your lucky bag on a little card with a little character; it definitely gives it all a more personal touch. Maybe I was just lucky but I managed to get a very good variety.